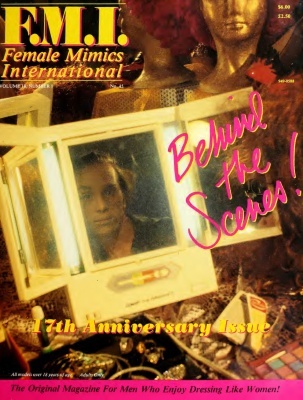 Female Mimics International magazine was a later evolution than Female Mimics magazine, and as such (at least among the issues from the 1980’s that are hosted here), it focuses on drag and crossdressing culture, with some transgender-focused topics and models. 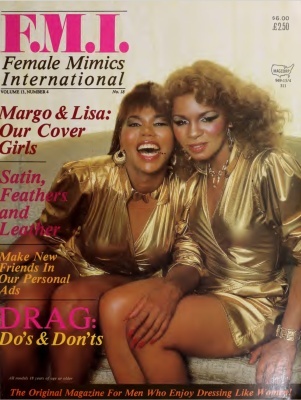 These magazines have a much more prurient and exploitive bent than earlier magazines. 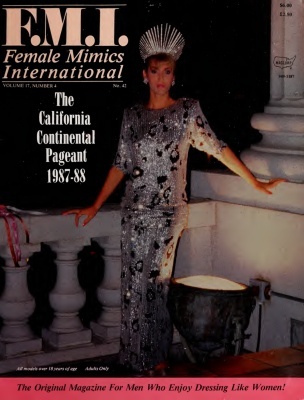 Nonetheless, the magazine is quite interesting for its coverage of trans-related and crossdressing-related events of the 1980’s, which despite its relatively close proximity to us is somewhat of a dark ages for our history. 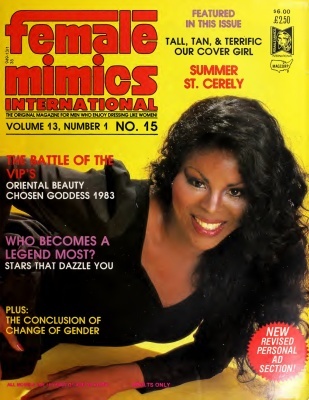 I own few paper copies of these magazines – the rest of these came from the Digital Transgender Archive, of which Transas City is a part. 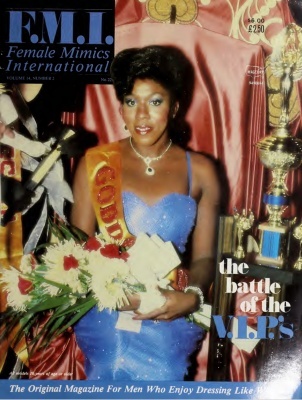 If you click on each image and text below, you will be taken to a PDF of the magazine. 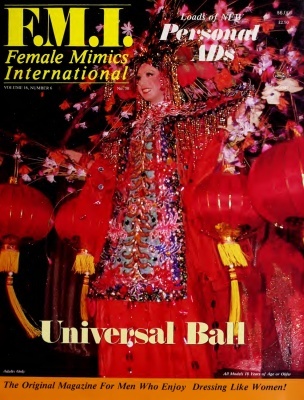 There is more than half a gigabyte of magazines in this one collection here. I have 53 issues in total that are hosted here. Enjoy! 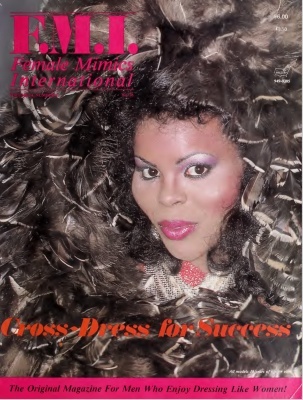 Please note: some of the magazine covers are not work-safe. Think before scrolling downwards.